Ø§Ù„Ø±Ø¦ÙŠØ³ÙŠØ© / new tech / Why Sony has not shown the PlayStation 4 ? 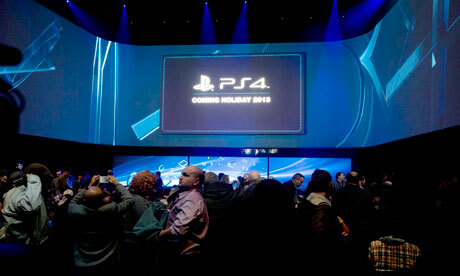 Why Sony has not shown the PlayStation 4 ? According to the results of our 'very serious' survey for you, Sony has not yet finished the design to 40% and of course, Robert, did you put the image playsation4.jpg in Power Point ? Forget Gege, just break it already to 15% '. We really wanted to explain what we did with the DualShock 4, but for the system itself, we have to keep something back for later. Otherwise, you get bored. "